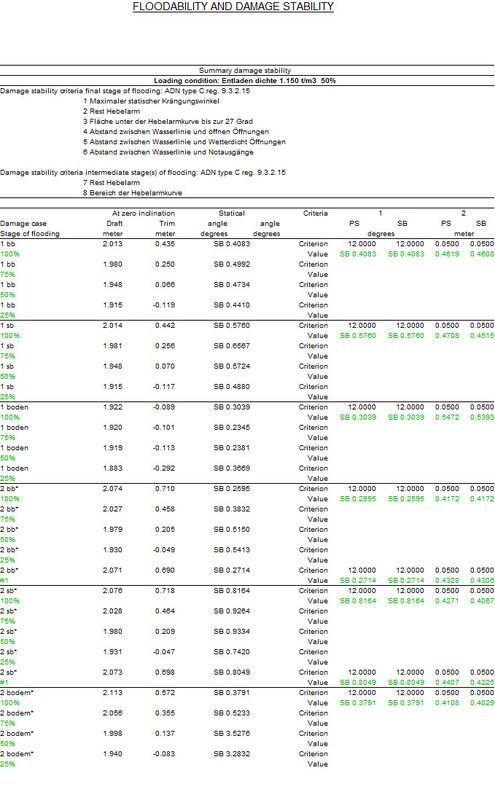 The output of damage stability (summary) has been given a makeover and has become much shorter than before. This output can also be imported into Microsoft Word or Excel to edit it yourself. 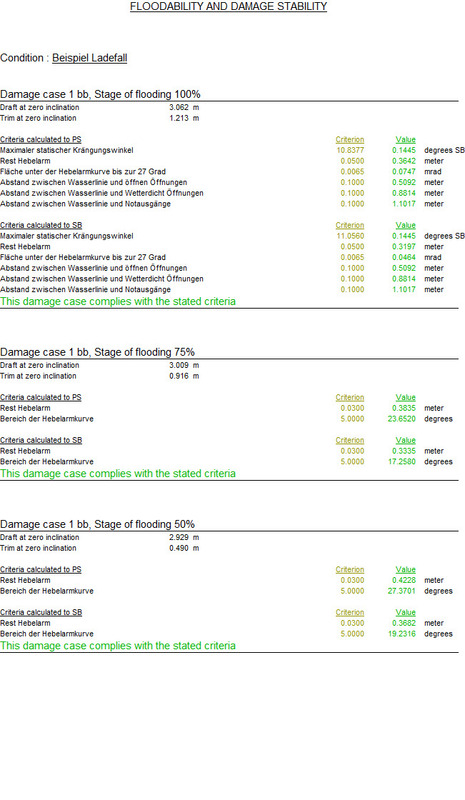 For each damage case it is now possible to see briefly and clearly whether this case is complies or not. The complete output has remained unchanged and everything can be found there down to the last detail.